Pre-orders have been ringing in for HUAWEI P30 Series since its announcement at the beginning of April with HUAWEI P30 Pro and P30 breaking all flagship records off the chart! This prompted Huawei to throw a celebration for its success. The HUAWEI P30 Series features HUAWEI P30 Pro, HUAWEI P30 and the HUAWEI P30 lite – that revolutionize the way smartphone photography is done today. 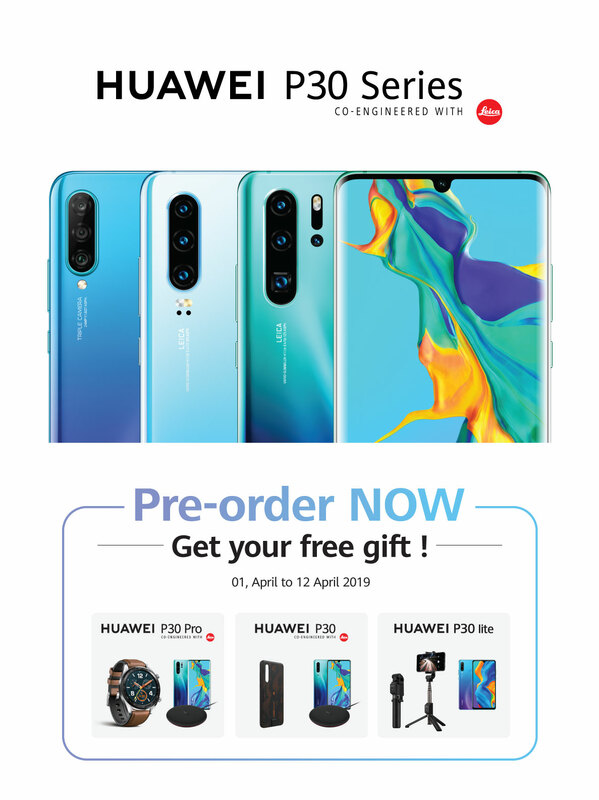 The pre-orders run till Friday, 12 April 2019 so people can still get their hands on the exciting gifts that come along with the amazing smartphones. Speaking of the occasion, Huawei CBG Manager – Mr. Blueking Wang said “We pride ourselves for providing our consumers with innovative products and prioritizing their needs each year. Today, it gives us great pleasure to see that being reflected as the consumer response for HUAWEI P30 Series has been nothing short of outstanding. The pre-order party took place at Lucky One Mall, Karachi where fans gathered to interact, celebrate and win amazing prizes! Celebrity host Hira Mani swept the crowd off their feet and engaged in selfies and prize giving activities with them. The fans were treated with a product presentation by Mr. Waqar Nazir who gave them a better understanding of all that HUAWEI P30 Series has to offer. Top tier media was also in attendance of the event and everybody left with a smile on their face. With a DXOMark of 112, the HUAWEI P30 Pro is a photography powerhouse. It is equipped with the Leica Quad Camera System which includes a SuperZoom Lens, a 40 MP Super Sensing Camera, a 20 MP Ultra Wide Angle Lens for a broader perspective, and a HUAWEI TOF Camera. HUAWEI is pushing the envelope with its 32 MP front camera, 5x optical zoom, 10x hybrid zoom and 50x digital zoom that captures moments like never before in all its entirety. Additionally, thanks to its ISO 409,600 you can achieve unmatched lowlight photography without having to worry about lighting or the sun setting ever again all the while maintaining great resolution, detail, and quality. The super camera system on the HUAWEI P30 comes with a 40 MP Super Sensing Camera, a 16 MP Ultra Wide Angle Lens, and an 8 MP telephoto lens. 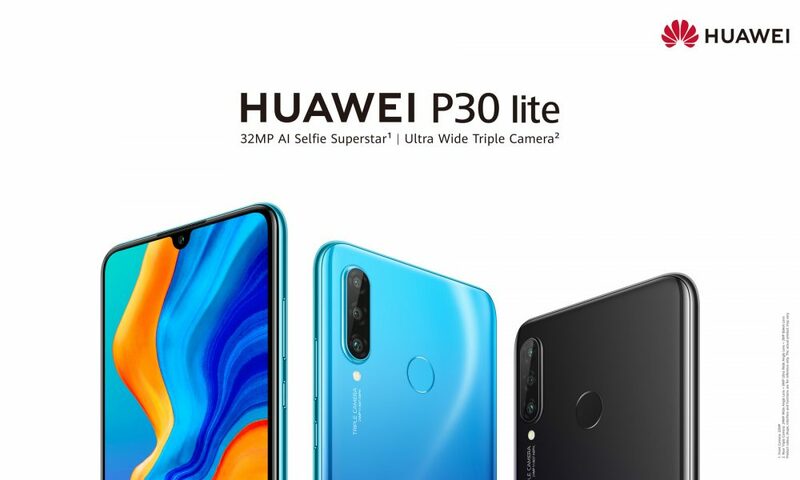 The 32MP front camera on the HUAWEI P30 will intelligently recognize you to produce expert selfies that will glow with stunning detail, even in overexposed backlight or during the night. In addition, the 6.1’’ OLED HUAWEI Dewdrop display is precisely designed to provide you a broader and better viewing experience with vibrant colors shining in every way. HUAWEI P30 can be booked for PKR 124,999/- upon which you can win a charging plate for FREE! HUAWEI P30 Lite brings an immersive FullView Display with a Dewdrop notch also equipped with HUAWEI Acoustic Display Technology and offering 32 MP front, 24 MP + 8 MP + 2 MP rear camera’s. Drawing inspiration from the miraculous sea, sky, and space; the HUAWEI P30 Pro and HUAWEI P30 come in Breathing Crystal and Aurora colors where-as the HUAWEI P30 Lite will be available in colors Black and Aurora.